As the nights draw in I’m trying to find more recipes that come from the traditional comfort food genre but that don’t pile on the stodge and calories. Tonight’s effort was supposed to be cooked with a low fat shortcrust recipe I’d seen, however, as I was still an hour away from home when I should have started making that I whizzed into Tesco and grabbed a packet of filo pastry. I usually use olive oil instead of butter in any event so I saved on the fat there too. 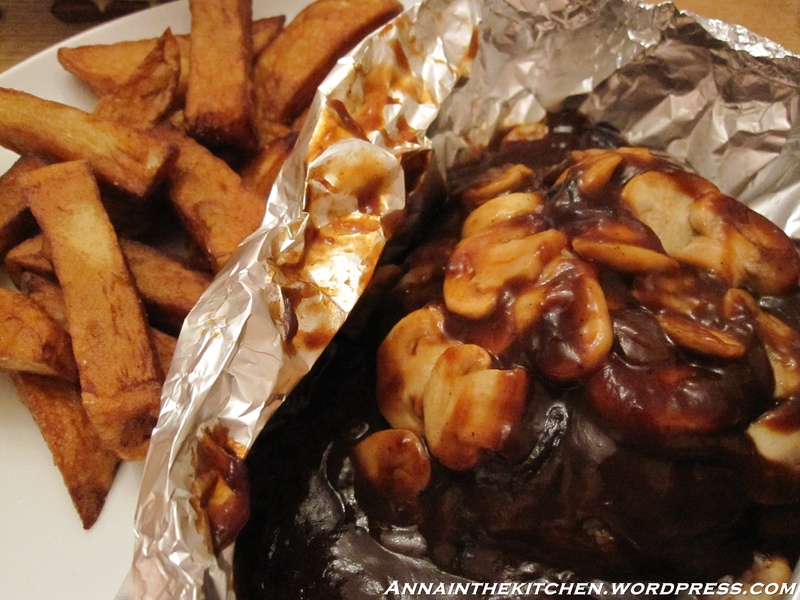 As for accompaniments I had a quick whip round the freezer and found some oven chips, again a healthier alternative. We were going to have peas too but they have gone AWOL so no peas. 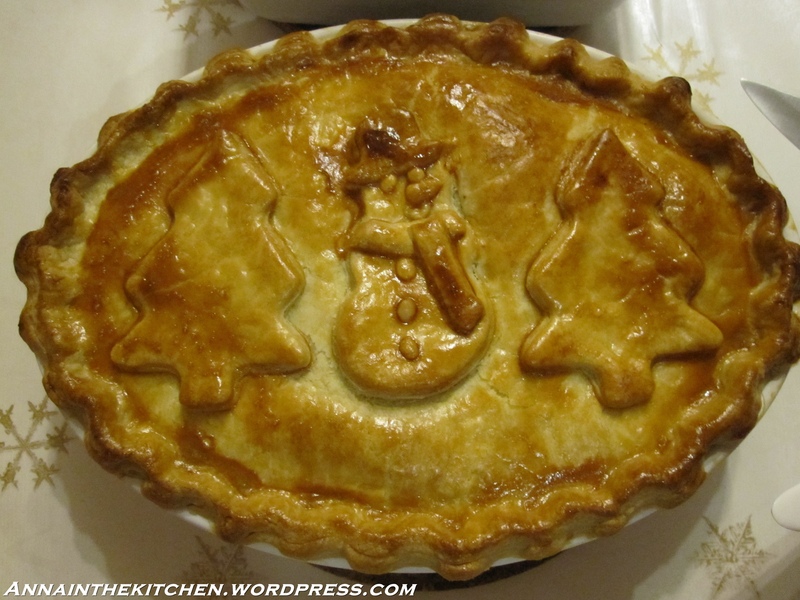 – Select your pie dish and brush with oil. – Line with 4 sheets of filo pastry, brushing lightly with oil between each layer. The pastry should over hang the dish. – Heat some oil in a large frying pan and cook the onion with a pinch of salt until soft. 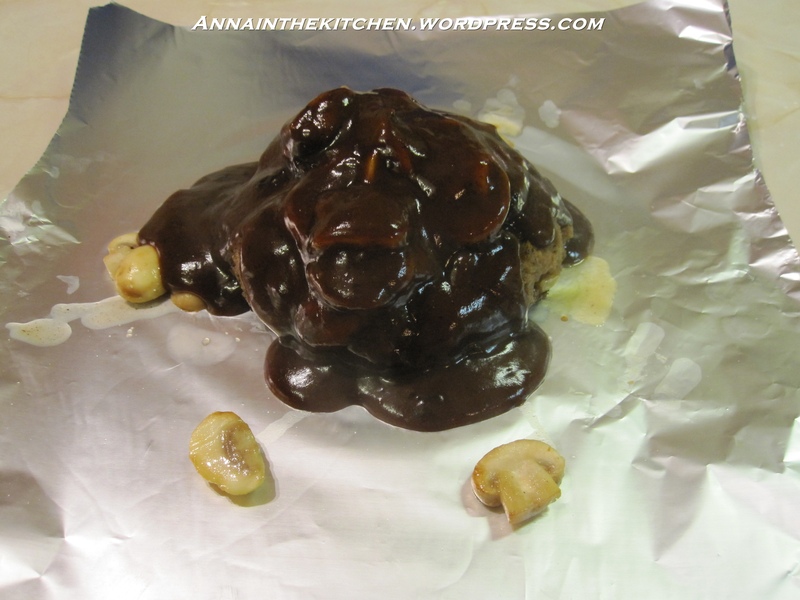 – Add the mushrooms and brown then add the chicken and cook until just browning. – In a separate pan heat the oil then add the corn flour and rapidly whisk together. – Add the chicken stock to this mix and cook for a few minutes until it starts to thicken. – Stir together the contents of the two pans. 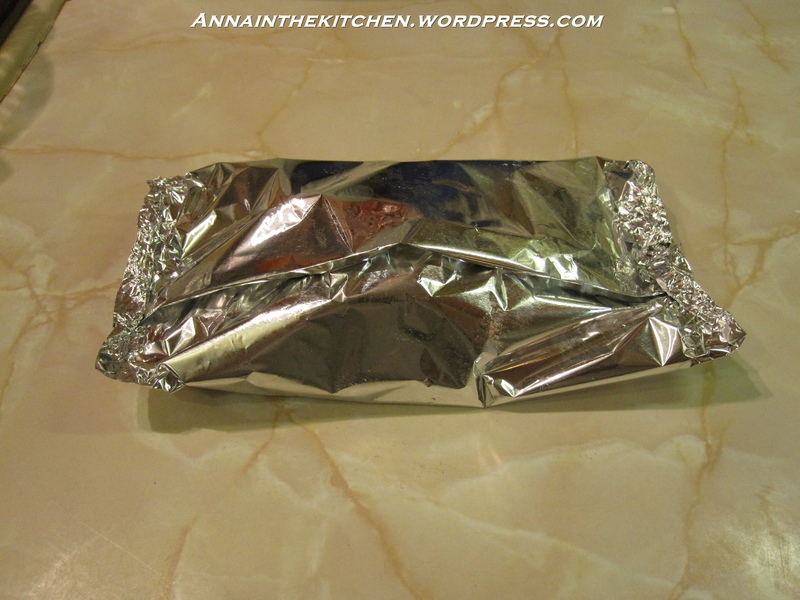 – Spoon this into the pie dish on top of the pastry. – Fold the filo sheets over the top of the filling and brush lightly with oil. 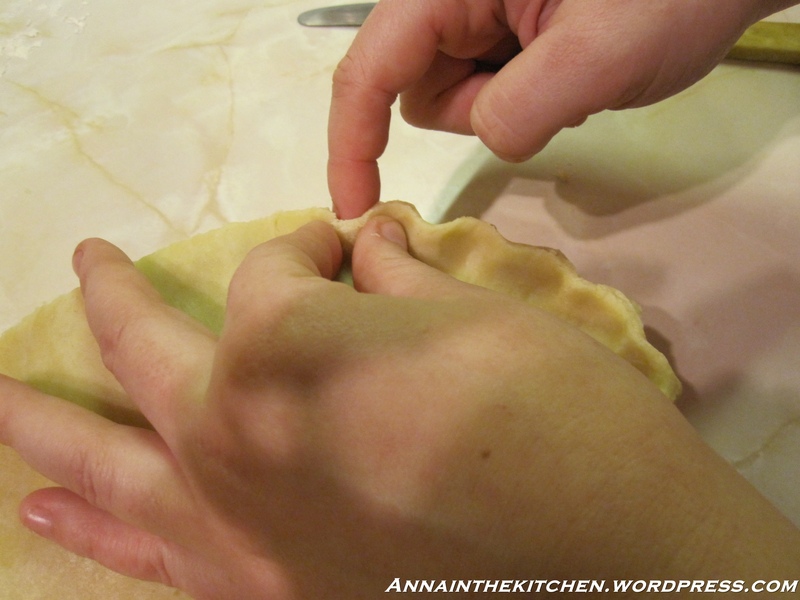 – Scrunch up the remaining 3 sheets and arrange on top of the pie then brush with oil. – Place in the oven and cook for 15 minutes or until lightly browned. Well the wind is howling today and there are branches coming off trees left, right and centre. I love this kind of weather, it just feels so exhilarating walking outside and makes being snuggled up inside even better. This kind of autumnal bluster seemed like the perfect day for soup. All my other soups have been tomato based so I tried something different and went for mushroom. I’m not crazy about how much salt this needed as I try to keep salt content down but it just didn’t taste any good without it. There was also a mix up with the shopping so I got regular closed cup mushrooms instead of the chestnut I wanted. To compensate I added more dried porcini and although the flavour is still good I think it would be even better with more flavoursome mushrooms. – Soak the dried porcini in 200ml cold water until soft. – Heat a knob of butter and a few tbsp of oil in a large pan. 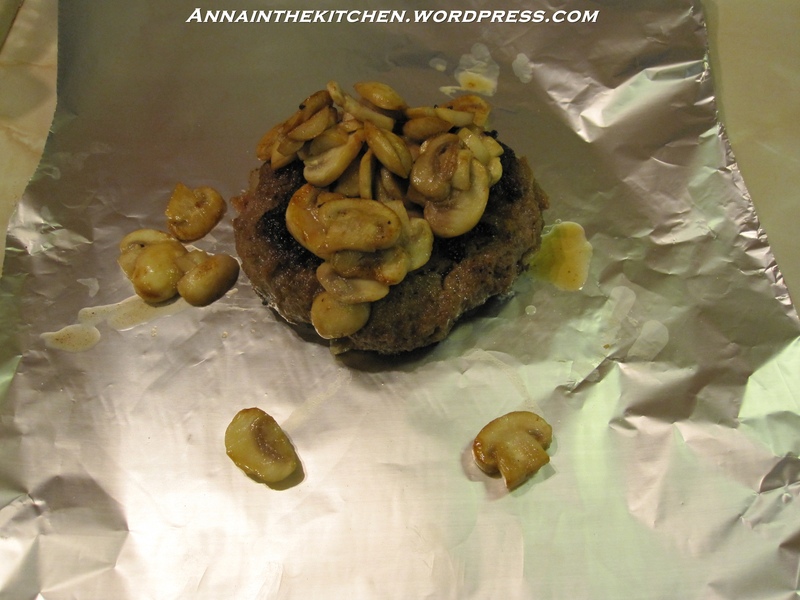 – Add the sliced mushrooms and stir until browned. – Add the chopped onion, garlic and the leaves from the thyme and stir until softened. – Add the porcini mushrooms and the liquid they soaked in, straining out any grit. – Stir well and then add the stock and stir again. – Bring to the boil and then simmer gently for 10 minutes. – Allow to cool a little (nothing worse than accidental flying soup burns!) then use a stick blender to blend the soup until smooth but still reatining a bit of texture. – Add the creme fraiche and a good amount of salt. Keep tasting and adding, you’ll know when you get there, it took at least 14 grinds of my salt mill. Then stir well to combine. – Reheat before serving with fresh bread and butter.